This entry was posted in Assessment and tagged PSAT on December 12, 2016 by HISD Communications. 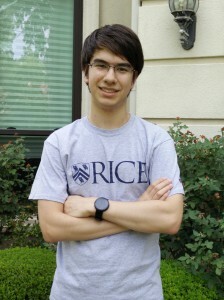 September 30, 2015 – Bellaire High School senior Antony Yun has officially earned bragging rights after receiving a perfect score on both the SAT and the ACT college entrance exams. This entry was posted in College Readiness, High Schools and tagged ACT, PSAT, SAT, SAT scores on September 30, 2015 by HISD Communications. HISD 9-11th graders took the PSAT during the school day on Oct. 15 at their campus as part of the district’s PSAT Test Administration Day. The PSAT, a preliminary SAT and College Board exam that measures college readiness among students, is offered to HISD students free of charge on PSAT Test Administration Day at HISD. Students are scheduled to take the exam in the morning and could spend up to three hours completing the test that includes sections on math, critical reading, and writing. This entry was posted in College Readiness, High Schools and tagged PSAT on October 10, 2014 by HISD Communications. This entry was posted in High Schools and tagged DeBakey HS, PSAT, Westside HS on July 21, 2014 by HISD Communications. Last October, thousands of HISD freshmen, sophomores, and juniors took the PSAT/NMSQT college-readiness test, and campus staff began distributing the results this month. Parents are strongly encouraged to discuss these scores with their children, as they can not only help gauge a student’s readiness for college but also identify good candidates for Advanced Placement (AP) classes next semester and, in some cases, determine a student’s eligibility for scholarships. This entry was posted in Assessment, College Readiness, Parents and tagged PSAT on January 16, 2014 by HISD Communications. Thousands of ninth-graders across HISD began taking the PSAT college-readiness exam this fall as a part of the “PSAT for All” initiative. Launched in 2003, the program was originally designed to give all tenth-graders a chance to take the test for free. It was expanded in 2010 to include all ninth-graders. All test administration fees are paid for by the district. This entry was posted in Assessment, High Schools and tagged preparing for college, PSAT on September 5, 2013 by HISD Communications.